Lush green grass, thick healthy bushes, bright flowers blooming, butterflies floating against the blue sky………is this your yard? If not, chances are you are making one of the following Yard Mistakes. Letting yard maintenance fall off your list of to-do list. One of the simplest solutions to yard work is not getting behind- especially if you have a Homeowners Association with yard regulations. Once bushes get out of control and your grass becomes a jungle, yard work becomes a headache! Choosing the wrong plants and not reading the labels (yes, plants have labels). Check the requirements for sun, shade, water, compatibility with surrounding plants, and the size at full growth to make sure it fits the area you are going to plant. If you need help choosing plants for a specific area, visit a specialty lawn and garden shop in your area to ask questions. Most specialty shops have an experienced Gardner and/or clerks with a green thumb. Cutting your grass too short. Seriously……. there is a science to cutting grass. 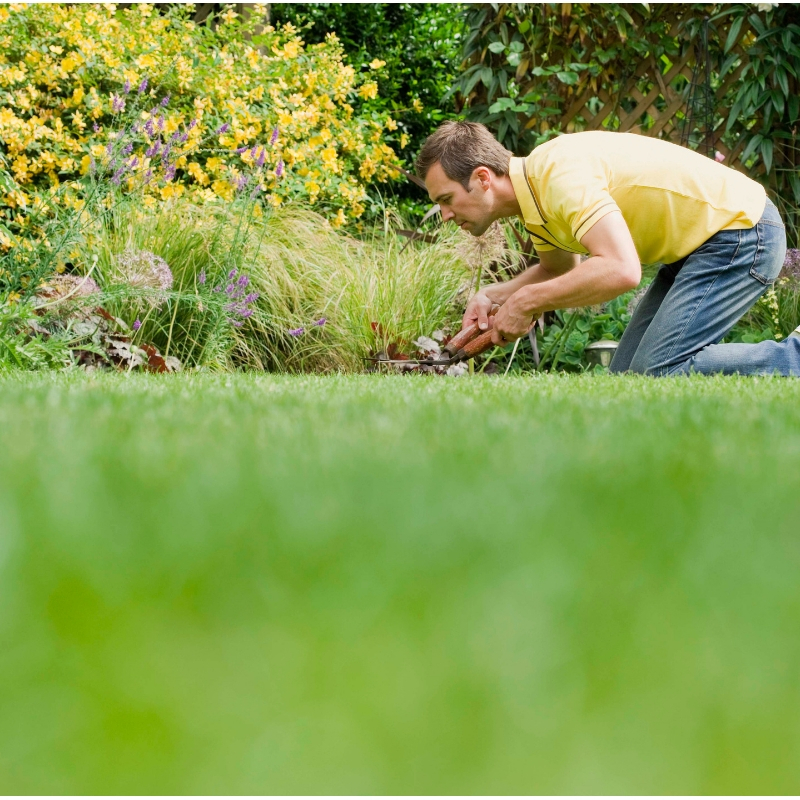 The DIYNetwork recommends keeping your grass at 2 ½ inches to 3 inches long. This will prevent browning and starving the grass. Also recommended is to keep lawn mower blades sharp, alternate mowing directions, mow across hills not up and down, and adjusting your mower wheels to keep grass blades at least 2 ½ inches long. Too many yard ornaments in the front yard. There is a fine line between a few garden gnomes that are strategically placed in a design and a plethora of garden gnomes that you trip over trying to get to the front door. When it comes to yard decorations, less is better. Or better yet, you can put the dancing pink flamingos, naked-baby-statue-fountain, and your favorite costume gnomes in the back yard for your own private viewing pleasure. Letting shrubs and bushes grow over windows and doors. You don’t want to be known as the house that is covered by overgrown shrubs and bushes-do you? Best to keep bushes and shrubs freshly cut at least to the window sills and cut away from entryways. Forgetting to take down Holiday ornaments and decorations in a timely manner. No, your Christmas lights should not be used as Memorial Day celebration lights……… enough said. Keller Williams Platinum Partners, INC.